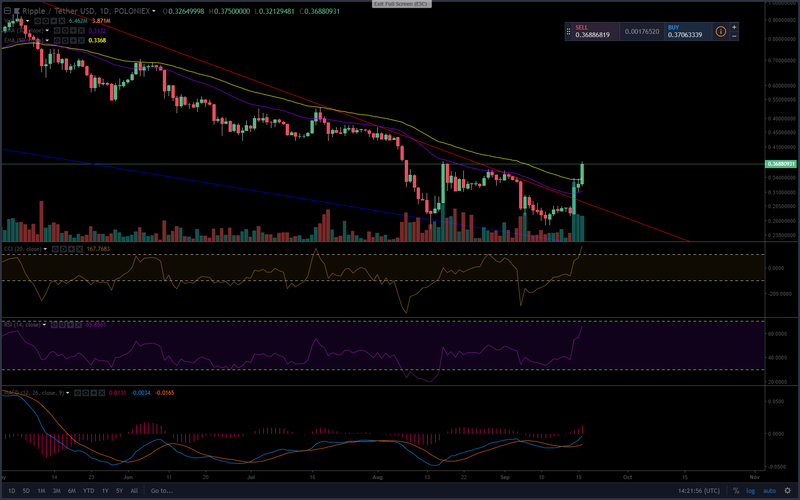 The dramatic rise in the price of XRP over the last two days is coming with much optimism of a trend reversal for the XRP token by technical analysts. It appears that the rapid increase in the price of XRP has not been from a single cause but rather a series of events stemming from an extremely oversold situation and including a rapid expansion of RippleNet to over 40 countries. Since reaching its peak over $3.00 XRP has seen a rapid decline losing in excess of 90% of its price since the ATH with an intensification of the downward movement the last few months.